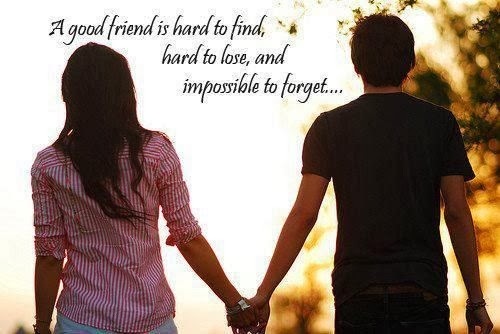 A good friend is probably the most important think in the world, share with her or him, our joy and sorrow, our love and heartbreaks, our successes and failures, actually, share our lives. If you want to let her or him know how amazing you feel when you are together, below you will find a selection of cards with beautiful quotes for friends and friendship. Enjoy them and surprise your friends. 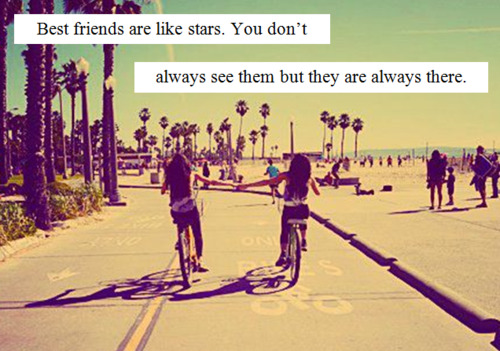 A couple of friends biking with the message: Best friends are like stars. You don't always see the but they are always there. 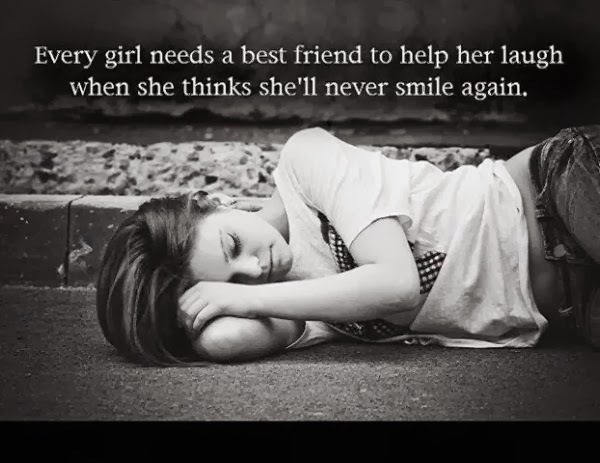 A sad card with a girl and the message: Every girl needs a best friend to help her laugh when she thinks she'll never smile again. 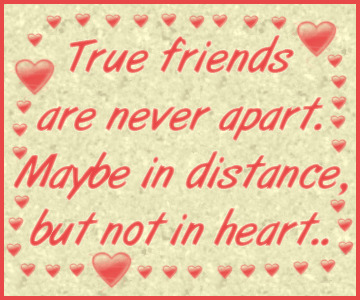 A card with hearts and the message: True friends are never apart. Maybe in distance, but not in heart. 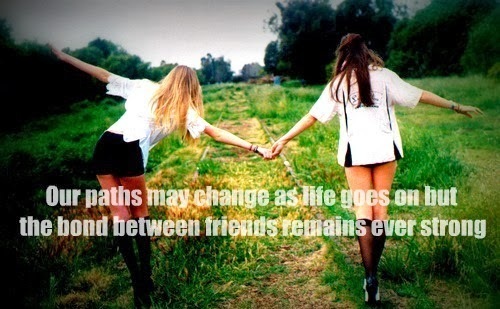 A couple of friends walking on rails and the message: Our paths may change as life goes on but the bond between friends remains ever strong. A couple of fingers with the message: We are best friends. 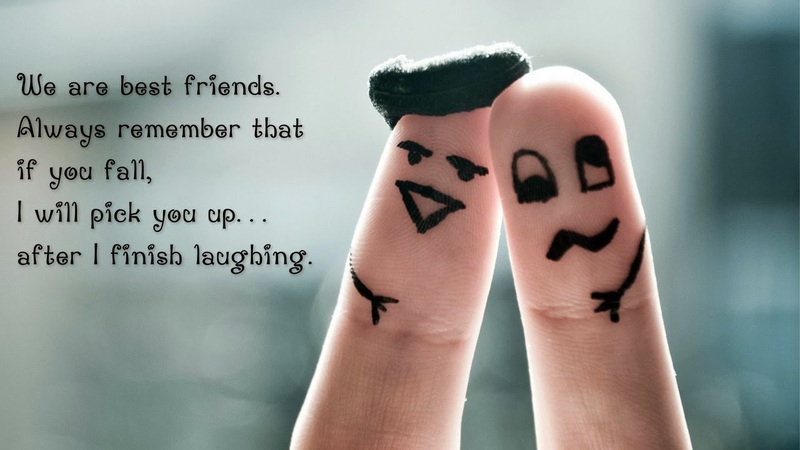 Always remember that if you fall, I will pick you up... after I finish laughing. A couple of kids at beach with the message. 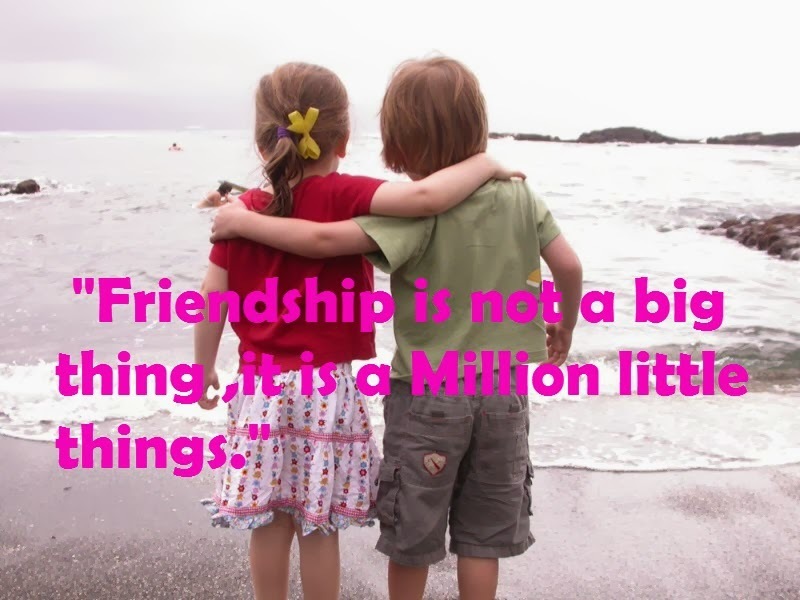 Friendship is not a big thing, it is a million little things. 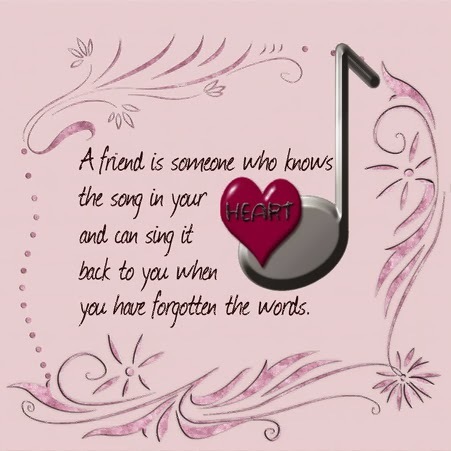 A card with a musical note and a beautiful message about friends. 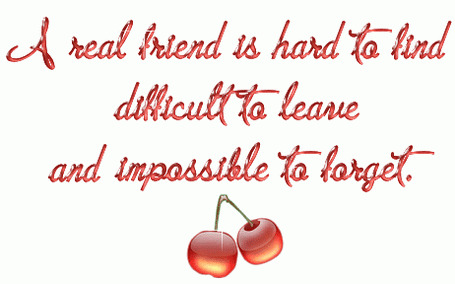 A nice message in red that says: A real friend is hard to find, difficult to leave and impossible to forget. 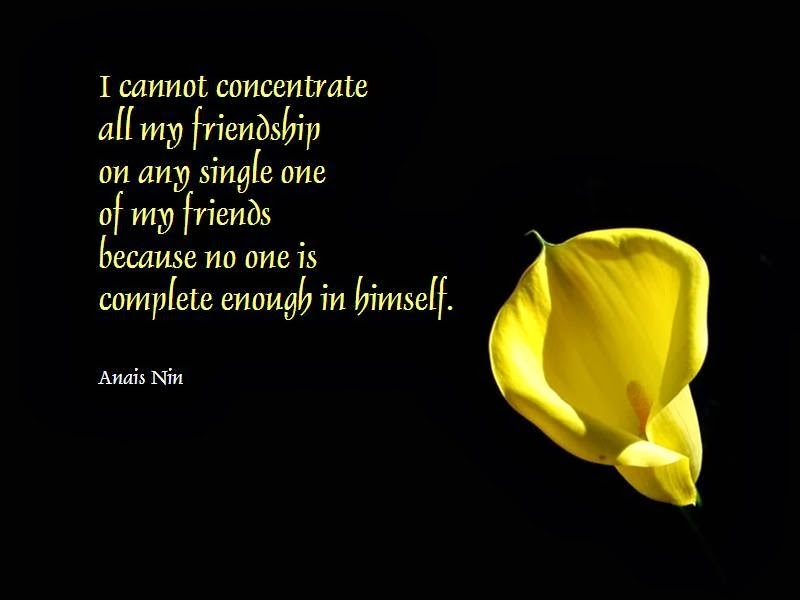 A black card with a yellow flower and this message: I cannot concentrate all my friendship on any single one of my friends because no one is complete enough in himself.